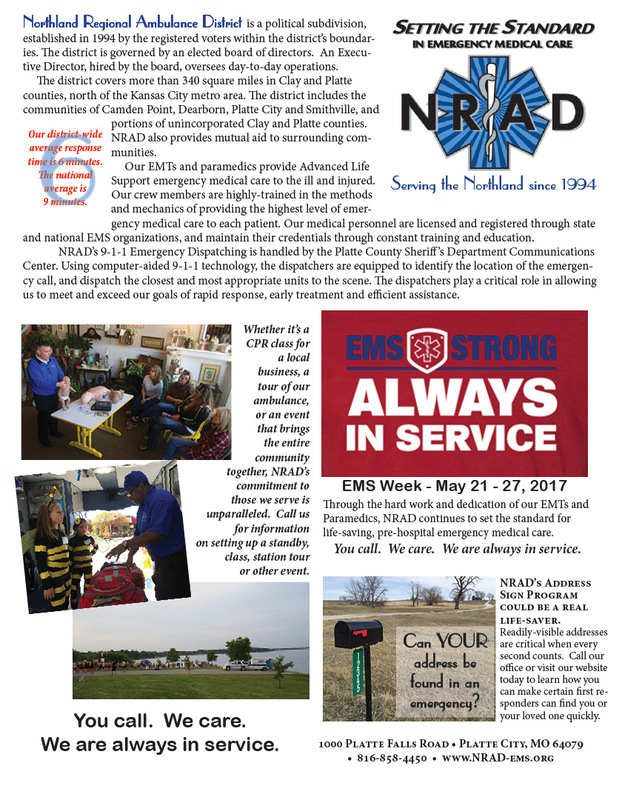 National EMS Week is the perfect time to remind those we serve of our community outreach and education efforts, such as CPR instruction, File of Life and address sign programs. We hope you'll take a moment to read the details, and take advantage of the ones that benefit or interest you. 2016 was another good year for NRAD. We moved into a new facility in Camden Point, the strategic location of which will help us maintain our above-national-standard six minute average response time to emergency calls for service, in spite of continued increases in call volume. 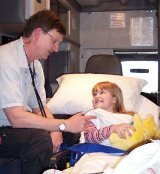 We continue to focus on providing the best possible emergency medical services to every patient, every time, by providing our employees with outstanding educational and training opportunities, and by staffing our ambulances with outstanding healthcare providers. We hope you'll take a few minutes to review the information in our 2016 annual report, and call us if you have questions. It’s #AmericanHeartMonth! Find out what you can do today to lower your risk for heart disease. We will be posting more throughout the month, so keep watching for more helpful information on keeping your heart healthy. 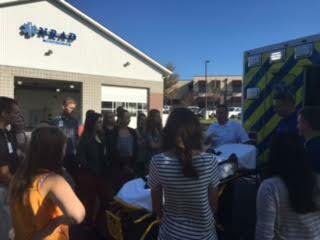 NRAD is among the agencies collaborating with the Platte County Health Department in their "Buckle Up Kids Car Seat Program." 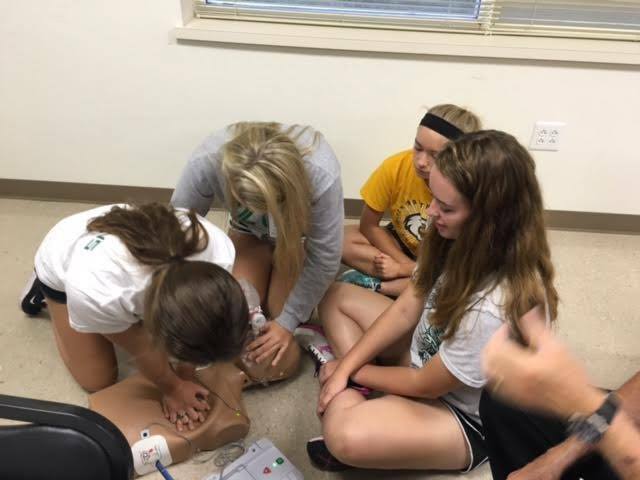 The program is funded by a grant through the Missouri Department of Transportation (MoDOT). We want all children to travel safely in cars, but correctly installing car seats for children can be a challenge. NRAD and the other agencies involved have certified car seat installers on staff. Parents and caregivers can receive free hands-on help to learn how to properly install their car seat. Platte County residents may qualify for a free car seat if income guidelines are met. We offer car seat installations by appointment at our headquarters, 1000 Platte Falls Road, Platte City. Please try to bring your child with you to the installation. If you're unable to do so, please know your child's height and weight. Parents and caregivers will be asked to complete a form and liability waiver prior to the car seat installation. Car seat installation is interactive and takes approximately 30 minutes. Platte County Buckle up Kids car seat programs will be offered at various community events throughout the year. Below are regularly scheduled events. On the 2nd and 4th Thursday of each month from 7 to 8:30 p.m., NRAD and Central Platte Fire Protection District will host installation/inspection events open to the community. 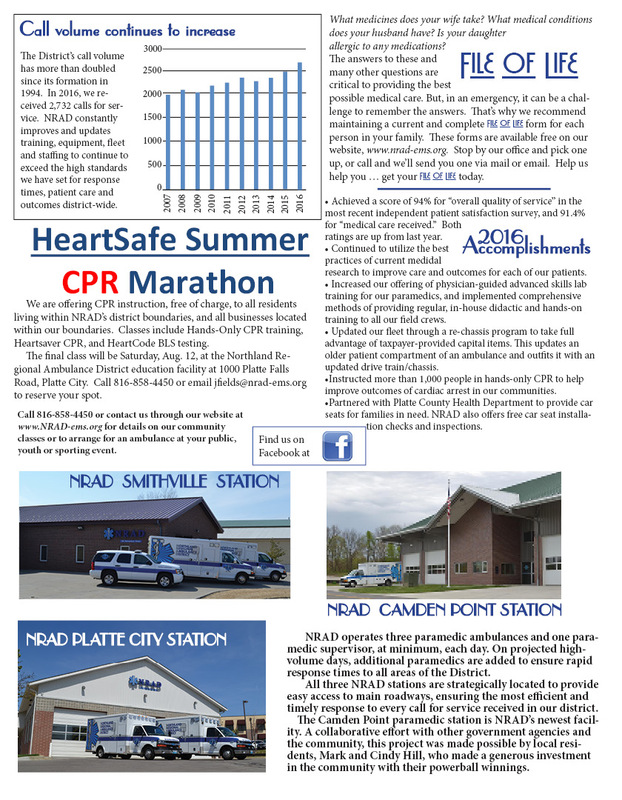 These events will be at CPFPD's fire station at 201 Main Street in Platte City. Appointments are requested prior to the event. For more information, call (816) 935-4094 or visit the Platte County Health Department website. A printable application is available on the PCHD website or by clicking here. 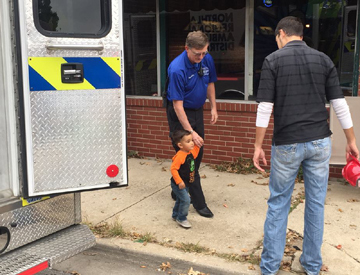 Other agencies involved in the collaboration to make certain kids travel safely are Central Platte Fire Protection District, Riverside Fire Department, Southern Platte Fire Protection District and West Platte Fire District. 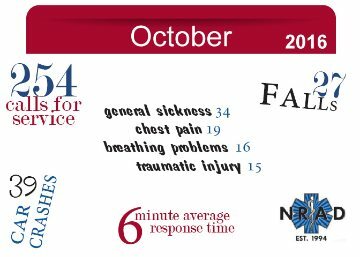 October was a record-setter for NRAD, with 254 calls for service - the highest number for any October since the formation of the District in 1994. Even with this increase in volume, we were able to maintain our district-wide average of six minutes or less from time of dispatch to arrival on the scene. What has kept us so busy? We've seen a noticeable increase in the number of injuries from traffic crashes, and were called to respond to 39 motor vehicles accidents in October. "General Sickness" was the nature of 34 calls received in October, and 27 requests for service involved falls. Many different types of calls make up the remainder of the record number of calls received last month, the highest of which were chest pain, 19; breathing problems, 16, and traumatic injury, 15. Road construction is under way at the intersections of 169 Highway and W Highway, and 169 and KK Highway, in the Smithville area. Other areas in Platte and Clay counties may be undergoing construction projects as well. 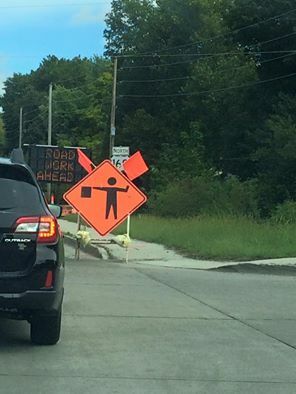 Watch for workers, be prepared for delays, and please drive safely. 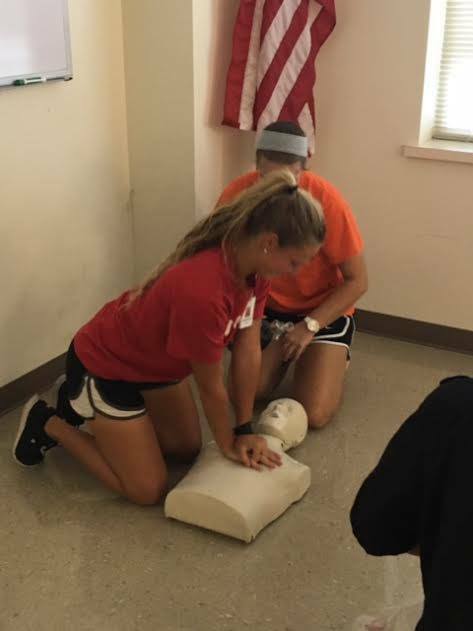 Area high school juniors and seniors who are pursuing health care careers through the Northland CAPS (Center for Advanced Professional Studies) program participated in hands-on training classes Tuesday, Sept. 6 at our Platte City headquarters. 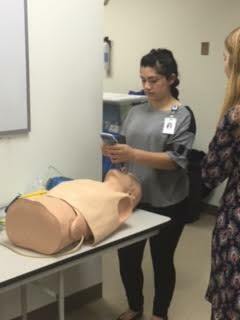 Students from Platte County, Smithville, Liberty North, and Staley high schools participate in the program each year. 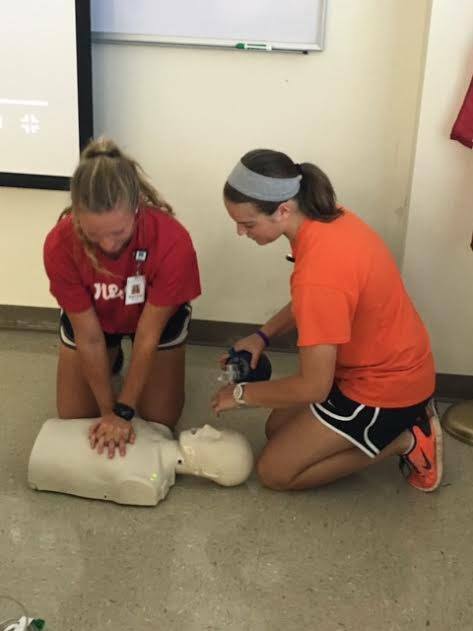 NRAD is excited to continue this partnership, and to provide this critical life-saving training. 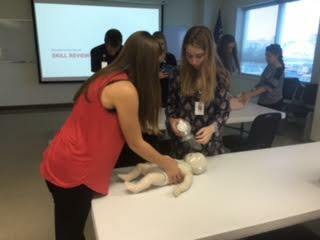 It is an honor to work with these exceptional students, and to help them prepare for their health care careers. 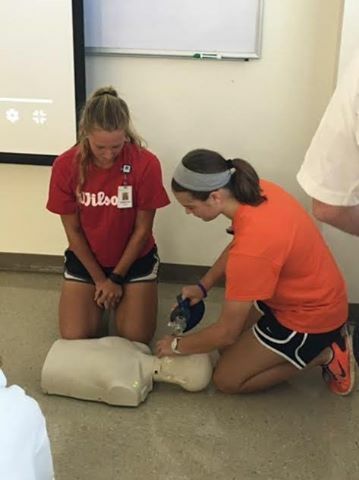 An Open House will be held 11 a.m. to 5 p.m. Saturday, July 16 at the newly-constructed station which houses the Camden Point Fire Protection District (CPFPD) and Northland Regional Ambulance District (NRAD), at 19959 Interurban Road, Camden Point. The directors and staffs of both districts invite the public to join them for facility tours, to learn more about the services provided by the districts, and to meet some of the personnel who provide those critical services. Construction of the energy-efficient building, which has 12,800 square feet on the main level, began in May 2015. The fire district moved into the facility in early May 2016, and NRAD moved in shortly thereafter. The project was funded by Mark and Cindy Hill, local residents who won half of one of the largest Powerball lotteries in U.S. history in November 2012. Separate garage areas house the ambulance and other EMS equipment, and the apparatus and equipment used by the fire district. Joining the two garages are the training room, living area, kitchen, and storage areas. There are two bedrooms on NRAD’s side, to accommodate the two-person advanced life support crew that is on duty 24/7. Currently-unfinished areas of the building allow for expansion as growth continues. The Open House will begin at 11 a.m., with a flag-raising ceremony and opening remarks from the president of each district’s board of directors. CPFPD officials will then conduct a dedication and unveiling, followed by a brief press conference with officials from both districts. Open tours of the facility will begin after the opening ceremony. 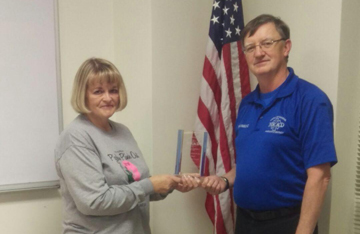 At 1 p.m., fire district officials will present a Distinguished Service Award. Both districts will display vehicles and equipment, provide information on their services, and have staff on hand to answer questions. Light refreshments will be provided. The station will be open for tours until 5 p.m.
“The central location and immediate access to main roads of this essential resource allows us to better serve all of our communities,” NRAD Executive Director Scott Roy said. “This supports our mission of delivering quick and efficient advanced life support to those within our district who find themselves in need of our services. “The efficient use of taxpayer-provided resources is paramount in delivering our mission to the communities we serve,” Roy continued. “We have additional building needs in our immediate future, and this great gift has allowed us to check off one big box in our strategic plan."